If there is one common problem every one faces at one point then it is hair loss. 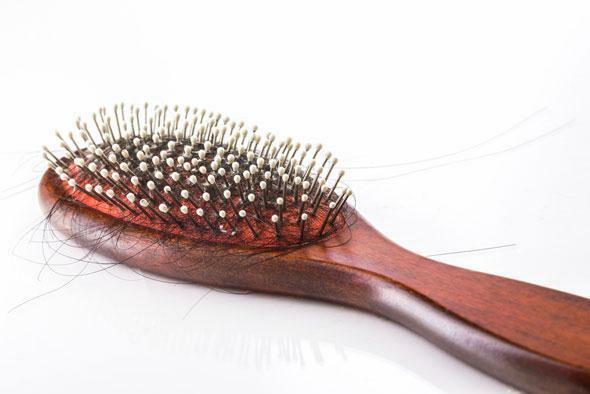 Excessive hair loss is attributed to a number of reasons – genetics, illness, medications, or even a poor diet. It can be extremely worrisome and embarrassing when hair loss begins to happen but there are two prevention approaches – medical intervention and diet. Read these quick tips & home remedies for effective hair fall treatment. Aloe vera gel also works wonders. Massage the scalp with aloe gel, leave in for a few hours and then wash with lukewarm water. The hot oil hair massage is an indulgence that is so typically Indian that many of us don’t realise how it helps. Massages help stimulate blood flow to the scalp. Getting a head massage has two advantages – stimulating hair follicles and also making you feel relaxed. Rubbing wet hair vigorously will lead to hair breakage and this is why you should avoid brushing wet hair. Avoid tying your hair tightly all the time as it puts pressure on the roots and causes hair to fall. Try not to use too many hair products as residue can build up. Rinse shampoo well to make sure hair follicles are not clogged. Make sure to follow product instructions carefully. If you use too much of a product, it could lead to more hair fall.